Was July the longest month of the year so far or is it me? Maybe the torturous heat, haze and humidity that came along with the sunshine had something to do with it. I had lots of distractions this month, after all it is summer and even with the over-the-top heat, there were gatherings and events to attend. Nice! As a result of all the activity, I've been reading -- indoors and outdoors -- but I'm still behind on my reviews. I think the sun fried my reviewing mojo! Or at least slowed it down, lol. My favorite reads of the month? 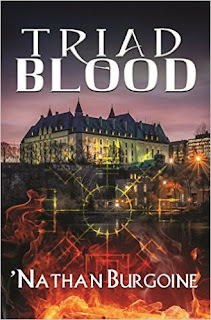 I had high expectations for this book, and in my opinion that can be a recipe for disaster. 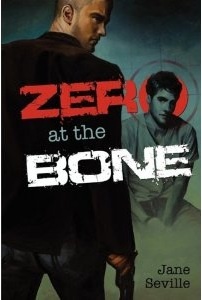 In this case, I found Zero at the Bone had many good qualities to recommend it and not all my expectations were dashed -- good action, love, angst galore and good character development -- so it wasn't a great disaster, but still... a disappointment. The uneven/choppy pacing that yanked me out of the story more than once, a character whose personality got on my nerves the more I read the book, and an ending that was not only never-ending, but that seemed out of place, awkward and ambivalent, frustrated me to no end. Endings can make or break a book for me, and unfortunately this ending spoiled a lot of what I did enjoy. What about you? How did your reading month go? Any favorites? You're welcome on Caught Running... it's too bad you didn't enjoy Zero at the Bone. I loved it! Loved those characters a lot. 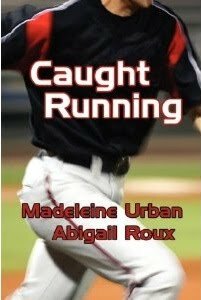 If you haven't already, you should read the other Madeleine Urban and Abigail Roux collaborations, they're just as fantastic. I have The Search (NRoberts) I think I'll read next... although, I do want to read the Ilona Andrews novella in the new anthology. LOL, I'm with you for both Demon Blood and Love in the Afternoon... and I'm way behind on my reviews as well. Sigh. July wasn't too bad... it went by quickly in my opinion... although yes, it was hoooot. Mariana, Caught Running was just lovely! I enjoyed those characters and that story from beginning to end. I have other Urban/Roux books in my TBR and I'm definitely reading those. :) As far as ZatB goes? Well... I know I'm in the minority. I really wanted to love that book and it was very good, it just wasn't a wowzer for me. I'm glad you loved it! I read The Search and liked it! I'd like to hear what you think of it. It's a long book, lol! I'm also looking forward to the anthology and Nalini's and Ilona's shorts. Sorry about Zero - agree about endings. Things can be going so well and then you're given that WTF ending. Can totally ruin a book. Forgot to say... did you check out the web stories Jane Seville has on her webpage? There are 3 very short stories for "after" Zero. I'm so glad you enjoyed Meljean's book and the Lisa Kleypas one. Those are probably the two from your entire list that I'll be reading. Oh... and of course, the Harry Potter book. I can't believe you did a re-read of it... still read 15 books in July... and I can't even crank it out once for my Big Book Challenge. *sulks* LOL! So glad you liked Caught Running! And how sad to hear your disappointments with Zero. I have it but haven't read it yet. Soon!